Today, I have the pleasure of interviewing Hayley Stone, author of MACHINATIONS, which is due out on June 14th, 2016. Also, I get to help share the cover reveal. Congratulations on the release of your debut novel! Regarding the process of going from staring at a Word document to being published: Aside from getting signed, what was the best thing, worst, and most surprising to occur along the way? Thanks, Matt! And thanks for having me on the blog. This is a great question. The best moment of this crazy process was my agent giving me the news that my editor, Anne Groell, loved the book. Anne freaking Groell who edits for two of my favorite authors, George R.R. Martin and Peter F. Hamilton, loved my book! Not only did she love it, but everyone at the publisher did as well. You try to have confidence and faith in your work, but it never hurts to hear that it’s good from someone with the industry experience to know. The worst thing was the waiting. While on submission, it’s easy to second-guess every narrative decision you’ve made in a book and be cannibalized by doubt. I won’t lie: there were times I thought, “okay, if no one wants this book, that’s that. I’ll have to live with it.” I’m so glad it is getting published, however, as the story is near and dear to my heart. Also, the main character’s a riot to write. As for the most surprising moment, it was getting actual input into the design of the cover. You hear horror stories of writers getting saddled with covers they hate, and I was worried about that happening. Thankfully, my fears were unfounded! The designer I worked with was very open to suggestion, and together we ended up with a design I absolutely love. Let’s start with something you’ve probably been asked a dozen times – Can you give us some insight into what got you interested in writing a novel and how you went about deciding on genre? I was practically a writer in the womb. As soon as I could put two words together, I was making up stories and pushing them onto people, haha! I didn’t jump straight into novel-writing, however. I began as a fanfiction author, playing in other people’s universe, adding an original character here and there. Post-by-post roleplaying also helped me grow as a writer, allowing me to interact with other people’s writing styles, and improve on my own. I finally made the leap to writing—and finishing—novels in 2009, prompted by the challenge of National Novel Writing Month. As for genre, I’ve always been a sci-fi and fantasy girl. I grew up on Star Wars and Legend of Zelda, so I guess it was only natural for me to gravitate toward the SFF genre when it came time to write. What is your target audience for MACHINATIONS? Is this a young-adult title or adult sci fi? Machinations is adult sci-fi, but I think it would appeal to readers of upper YA, as well. It features a spunky female protagonist that I feel people of any age will relate to. It also has a clear, concise writing style that makes for fairly easy reading. Tell us a little about the machines involved. Is this a story of runaway technology where everything from microwave ovens to cars to jet planes is trying to kill people, or are we talking about androids and cyborgs? No, no killer microwaves, sadly! 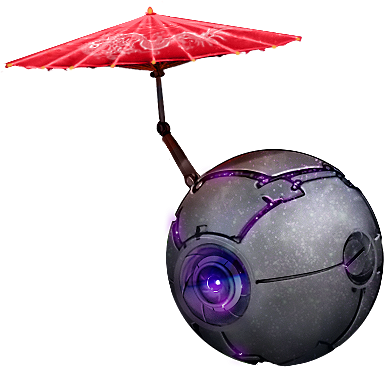 There are various models of machines in Machinations, each with a specific purpose—scouting and combat, to name a few. I wouldn’t classify them as androids or cyborgs; they don’t share humanoid features, nor are they combined with human anatomy. The majority of the machines are actually dependent on a higher artificial intelligence referred to as the higher echelon, which possesses true sentience. Imagine a hive of mindless worker bees, all governed by an intelligent queen. That comes close to the machines we’re dealing with here. As your book hasn’t released yet, I haven’t had a chance to read it – but based on the description, I couldn’t help but notice some similarities to the Terminator franchise in that intelligent machines have made the decision to wipe out humanity, and there’s a resistance. Aside from the lack of time travel, what unique twists does MACHINATIONS bring to this setting? You’re not the first person to make that comparison, haha! On the surface, they do share the whole “robot apocalypse” premise, but they’re totally different stories when it comes down to it. 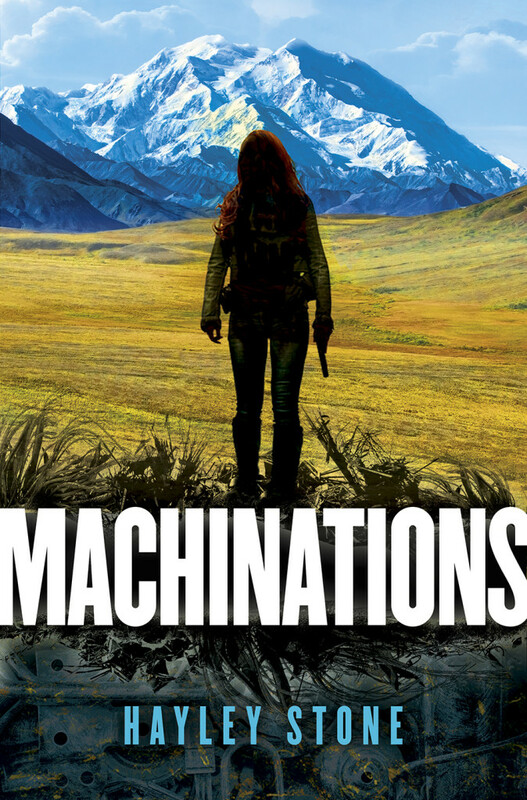 At its core, Machinations explores themes of identity and living up to expectations—those dictated by society versus the self—which I don’t think the Terminator franchise ever really touches on. What authors would you consider to be your inspirations, and if you had to pick a favorite book, could you? Ooh, inspirations! Off the top of my head: Margaret Atwood, George R.R. Martin, Audrey Niffenegger, Matthew Stover, and most recently, Kameron Hurley. I think I’d rather have teeth pulled than pick a favorite book! But for the purposes of this interview, let’s say Kindred by Octavia Butler. That’s a book that stays with you long after you finish the final page. Some writers develop idiosyncratic habits around writing – such as always having a cup of Tazo orange tea close at hand while drafting (looks around innocently). What, if anything, do you need to have in order to get into the zone? It’s funny you should mention tea, as that’s been my go-to lately! A black chai does wonders to coax out the muse. I also like to use music to get myself into a specific mood when writing certain scenes, especially emotional ones. I have a few other writer idiosyncrasies that are a lot weirder. I like to draft with all my paragraphs justified, and if the word count shows at the bottom of the document, I prefer ending on a 0 or 5. Are any of your characters inspired by or based on anyone real? Kidding aside, as a rule, I don’t usually base characters off of people I actually know. That said, I do tend to use “character models”—celebrities whose appearance help me visualize the character better. For instance, I’ve always imagined my main character, Rhona, as looking like Karen Gillan. Blame Doctor Who. You’ve perhaps seen that comic where the author meant “the curtains are blue,” but the English professor goes on and on about the ‘deeper meaning’ behind the curtains being blue. To what extent (if any) is your story, or smaller elements within, a metaphor with a deeper meaning? I’m meticulous when it comes to my writing, so nothing is really throwaway. If it’s on the page, chances are good that I’ve included it for a reason. Plus, I come from a fandom background where everything can mean something if you squint, so I might have included things for the sole purpose of what they might inspire readers to imagine. I look forward to seeing what crazy and wild interpretations may come from an otherwise benign moment of description or dialogue. Bwahaha! clears throat Ahem. Now that you’ve got a release date and a book coming out (congrats again by the way) – is there anything you would do differently if you had the chance to change any part of the process? Hmmm. Not really! I’ve been very fortunate in the way things have worked out for Machinations, in no small part due to the efforts of my agent, Marlene Stringer. When you have good people fighting in your corner, it makes it much easier to get done what you need to get done. Is MACHINATIONS part of a series or a standalone novel? What plans do you have writing wise in the future? I’m glad you asked! Machinations is the first book in a planned series, though it can definitely be read as a standalone. I’m currently contracted for two books and finishing up the first draft of the sequel right now. My hope is that these two books will sell well enough to justify writing a third. While writing, do your characters ever do anything you weren’t expecting? If so, do you run with it or force them back in line? All the freaking time. In my experience, forcing them back into line never works. It just makes the narrative feel insincere, and authenticity of feeling is always my primary goal in telling a story. At the end of the day, the characters tend to drive the plot in my stories more than the plot drives them, and that’s the way I like it. And finally, what message do you have for your readers? I hope you’ll check out Machinations when it releases this summer. If you enjoy it, please tweet me and/or spread the word using the hashtag #Machinations to let others know about the book. 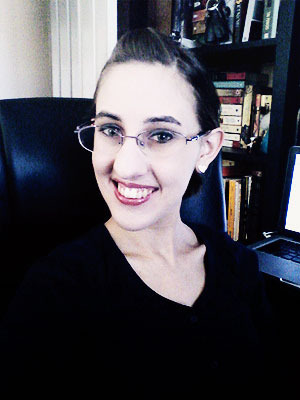 I love connecting with fellow fans of sci-fi and fantasy—especially other writers—so if that’s you, definitely drop me a line! This entry was posted in Blog and tagged Cover Reveal, Interview, Sci Fi, Science Fiction by Matthew Cox. Bookmark the permalink.